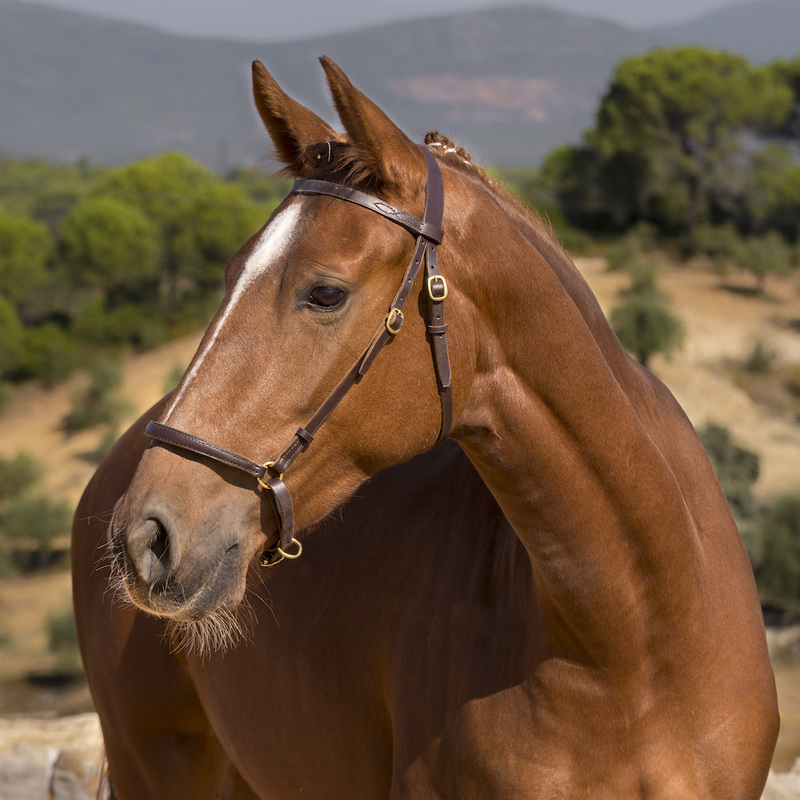 Lilás is a beautiful young chesnut mare. 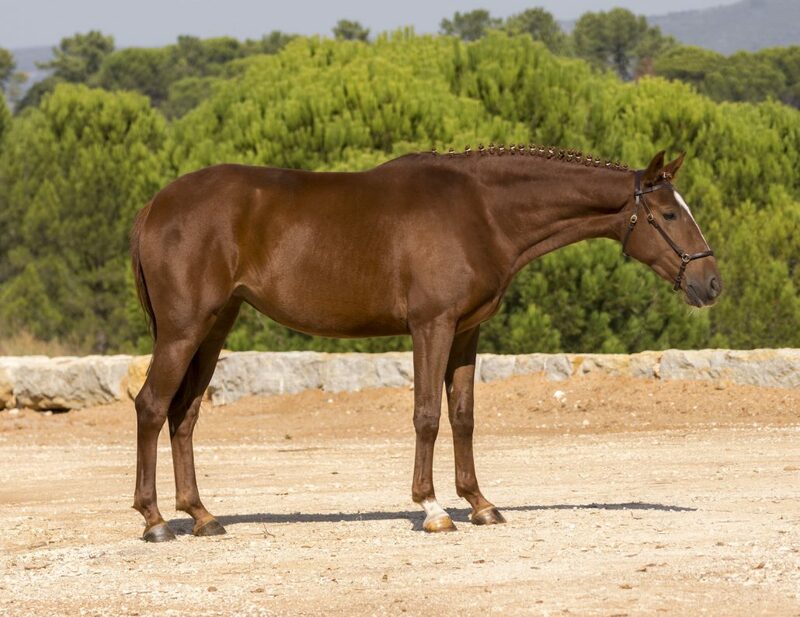 Born 2015, she is the first Luso- warmblood from Vieira Duque’s stud. 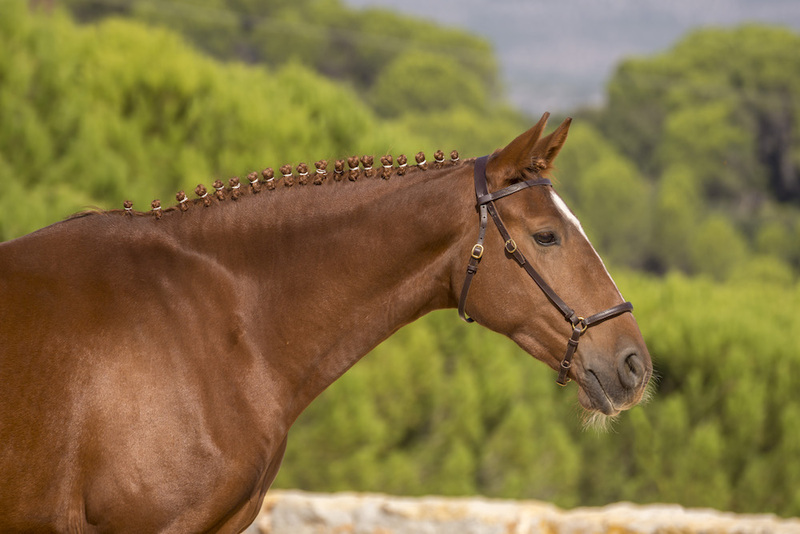 With wonderful gaits and a special chestnut color, she shows already that her character is very Lusitano. Lilás has a very sweet character and is super soft to sit. 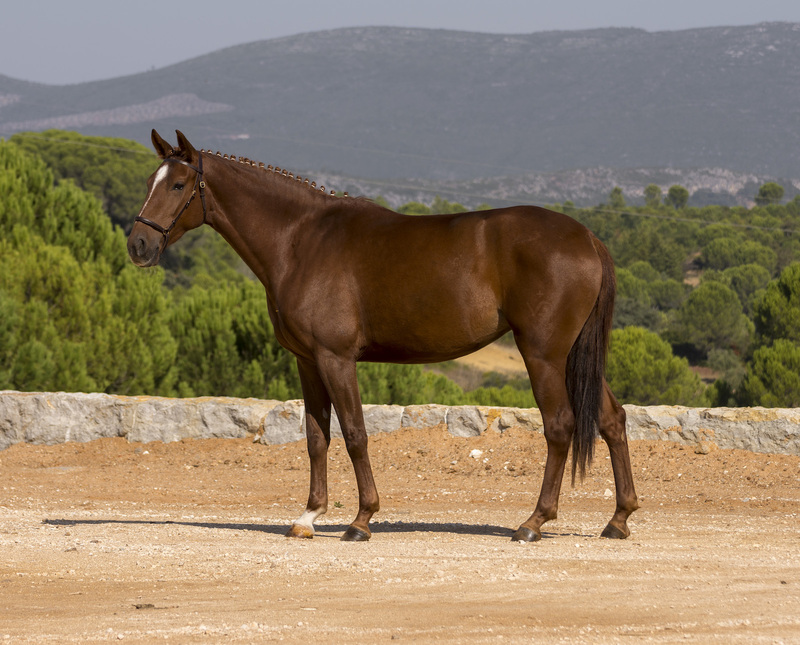 She`s is very sensitive to the aids ad progressing well under saddle.